THE newly-elected Zifa president Felton Kamambo yesterday extended a charm offensive to his predecessor Phillip Chiyangwa when he paid him a courtesy call at his offices in Harare and pledged to support his former boss in his regional portfolio. 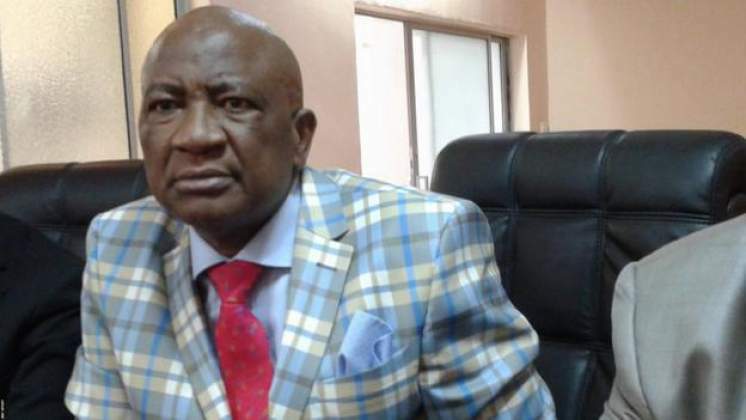 Chiyangwa was voted out of Zifa at the association's elective congress on Sunday, losing the plebiscite to Kamambo who previously served in the board led by the former from 2016 until early this year. However, the former Zifa boss remains at the helm of the region as Cosafa leader until the end of his term and Kamambo yesterday pledged to support his former boss in his regional position as well as back his elevation at Caf and Fifa. "The Zimbabwe Football Association president, Felton Kamambo, has today (yesterday) paid a courtesy call on his predecessor, Phillip Chiyangwa, as he commences extensive engagement processes with all football stakeholders," confirmed the association's communications manager Xolisani Gwesela in a statement. "Kamambo pledged to support Chiyangwa during his tenure as the Cosafa president, adding that he appreciates that Zimbabwean football stands to benefit with one of its own as the leader of the regional body. "The new executive committee is prepared to lobby for and support the elevation of Chiyangwa to the top echelons of Caf and Fifa "The president highlighted that Chiyangwa and his executive committee has done tremendous work in the development of the beautiful game and the success we earned in various competitions. "Chiyangwa was humbled by the president's noble gesture and he pledged to support the new executive committee to put Zimbabwe on the (world) football map. Chiyangwa wished the new executive committee well on their four-year journey," Gwesela added in his statement. Some football stakeholders expected revolutionary changes at the Zifa secretariat but the former Central Region boss Kamambo has indicated he will not be doing that, rather he is giving the current crop at the association a chance to prove themselves. After meeting Chiyangwa, Kamambo proceeded to officially meet those responsible for the day-to-day running of the association led by general secretary Joseph Mamutse where he told them that the board will give them a bigger role in decision-making. "Kamambo also officially met members of the secretariat for the first time as the new head of the association and encouraged them to complement his efforts to develop football. "The president has a vision, which is shared by his fellow executive committee members, that is "to unite and lead" the football family to greater successes. "Kamambo has vowed to re-engage stakeholders in order to nurture long term mutually beneficial relations that are necessary for Zifa to attract more partners. "For football to win, the president underscored the need for every stakeholder to work tirelessly and focus solely on the great tasks of re-engagement and development," Gwesela said. During his tour the Zifa boss was accompanied by returning board member Philemon Machana who was responsible for finance in the previous administration.